Why Test a Property for Meth? They’re looking to purchase and want to check it’s not contaminated. Its a rental and they’re testing between tenancies. Both are legitimate reasons and we are seeing an increase in the number of tests being requested in both circumstances. Its not just the rising prevalence of meth use and manufacture driving up the frequency of testing. Lawyers, banks and insurance companies are now requiring purchasers and landlords to get the testing done as part of their due diligence and conditions. So, why exactly are lawyers, banks and insurance companies so concerned about meth contamination? The answer is simple; cost. It’s no surprise to most that discovering you have a meth contaminated property can cost you thousands, sometimes even hundreds of thousands! Banks and insurance companies are risk adverse entities and don’t want anything to do with a costly decontamination job, or even worse, a lawsuit from a tenant or purchaser. We hear this all the time, and can even understand why people think it, but the assumption that lower socio-economic areas have higher levels of meth contamination is a fallacy. Well, from what we’ve seen anyway. After a days work my mates always jibe me and say things like “geez did you do many houses out in Flaxmere or Maraenui today?”, always waiting with bated breath for a juicy story about something like the house from trainspotting. “Sorry to disappoint guys, most of my tests were in Havelock North and Hospital Hill today” comes my usual reply. 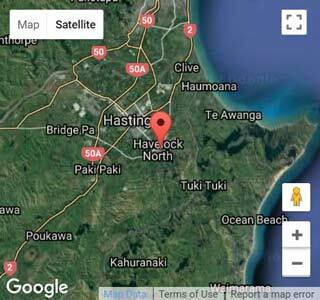 Much like the “as is, where is” speculators from the Christchurch earthquake, we’re seeing 1-2 investors who are specifically looking for meth contaminated properties because they know they will get an exceptional deal. While this might seem unethical, There are two good reasons why this isn’t the case. Firstly, the seller is usually desperate and no one else will even consider buying a meth contaminated house, so these buyers are really helping them out of a jam. Secondly, they buy them with the intention of decontaminating them and renting them out or selling on. So in the end the house gets cleaned up. 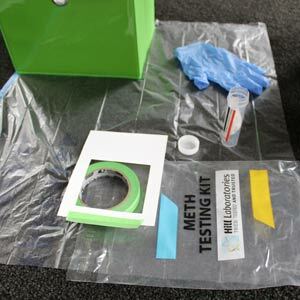 If you’re a landlord or house hunter in the Hawkes Bay we highly recommend you get a meth test done. They’re inexpensive and fast and could save you thousands. Book your test online now!